Click photos below to see each color. The detail is quite good in these circa-1950s charms. Make some funky earrings or key rings - or use them for making party favors! 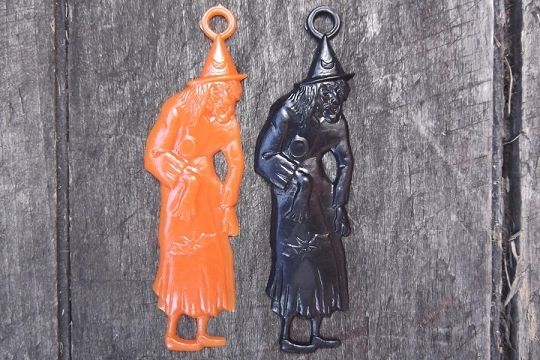 Whatever you choose, they will be perfect for your scary Hallowe'en adornments.These wonderful hard plastic witch charms measure 2-3/8 inches tall not including the hanging loop (2-5/8 inches including the hanging loop). These are vintage plastic charms. They are made of hard plastic. 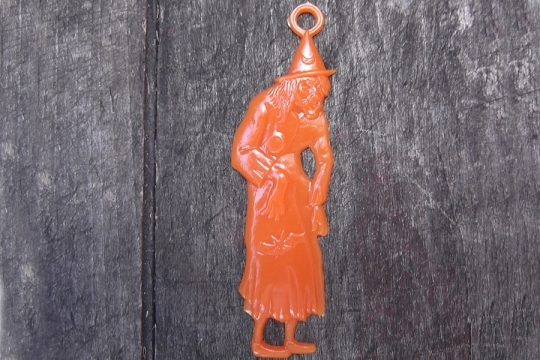 Even though charms similar to this are made today, they are made of a softer, more pliable plastic. These were made as a novelty item in the mid-20th century. For that reason, not all charms may be perfect. We are showing 2 witch charms in the picture so that you can see both colors. 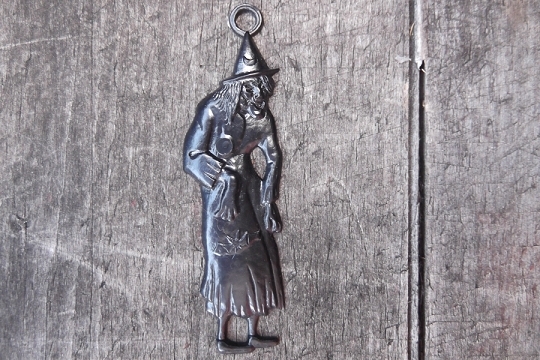 This listing is for 1 witch charm in your choice of either black or orange. You may also wish to check out our set of hard plastic Hallowe'en charms.